What do you get when you combine an amazing cult make-up brand, a New York PR powerhouse, and the launch of a really worthy cause? Well the biggest in-store event in Myer Melbourne’s history to put in mildly. 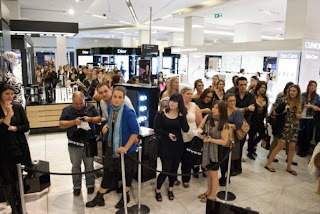 On Wednesday March 23rd, a 400 strong crowd of fans gathered at the Illamasqua counter in Myer Melbourne City, to meet the one and only Kelly Cutrone, for the signing of her book “If You Have To Cry, Go Outside” and to celebrate the Australian launch of Illamasqua’s charity S.O.P.H.I.E. 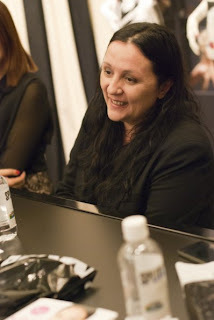 Before the actual book signing I was lucky enough to meet Kelly Cutrone, author and founder of PR firm People’s Revolution, along with a group of other beauty bloggers for a chat and an interview. Being a huge fan of Kelly’s, you do not know how much I was absolutely squealing in delight when I heard that we would be given this opportunity. 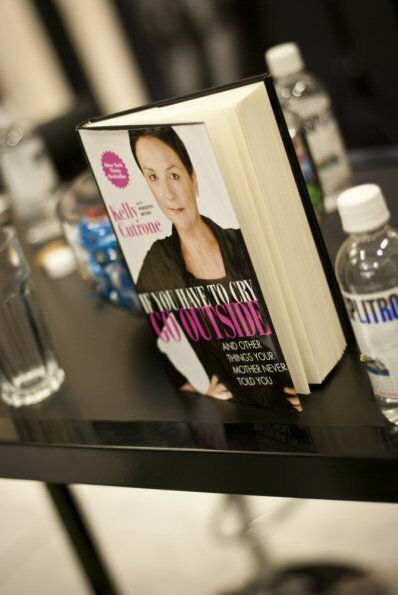 With her no BS attitude and mission to help empower women, Kelly Cutrone is someone I wholeheartedly admire. 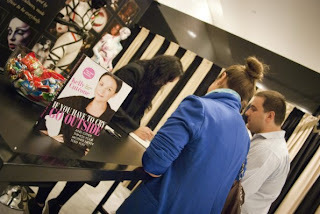 During the interview and afterwards, signing copies of her book for us with personalized messages. Kelly had me, along with the other bloggers, completely enthralled with her charisma and confidence, yet she was so down to earth. She has an amazing wisdom about her which makes you hang onto every word she says and that’s exactly what we did. She was entertaining, even going as far as putting on British accents when recounting the story of how she got involved with Illamasqua! The Sophie Lancaster Foundation is something Kelly is proud to support as when she watched the short film about Sophie and her boyfriend Robert, it “just broke her heart”. Upon viewing the film myself, it brought tears to my eyes and I’m sure many of you out there can definitely relate as well. Kelly, who is a single mother to daughter Ava, praises the work of the foundation and Sylvia Lancaster, Sophie’s mother, who are trying hard to educate people about diversity and acceptance. Kelly is a strong, outspoken person and some 15 years ago even dressed similarly to Sophie, black clothes and long turquoise dreadlocks, making her a great ambassador for Illamasaqua and the S.O.P.H.I.E charity. 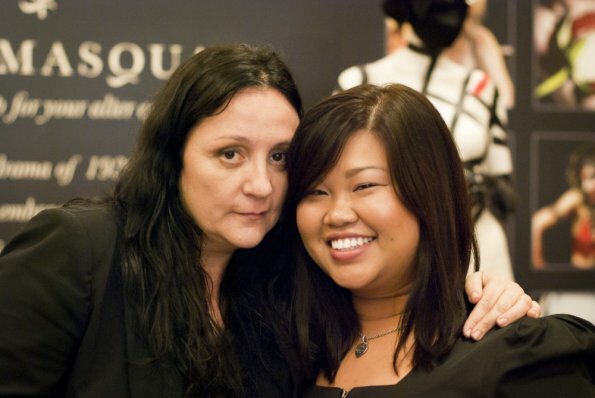 I’d like to thank Illamasqua and Kelly Cutrone for an amazing night. 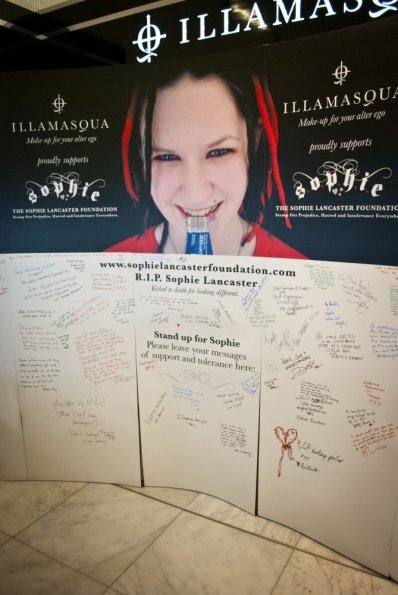 Kelly is a true rockstar and The Sophie Lancaster Foundation is a wonderful cause. 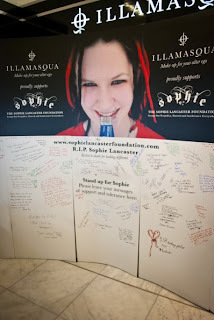 I’d also like to thank all those who attended that night, and those who have shown their support by watching the short film, purchasing S.O.P.H.I.E wristbands and/or the Illamasqua Sophie eye pencil. It is only through awareness and listenting to our inner voices, that we can truly be ourselves and help Stamp Out Prejudice Hatred and Intolerance Everywhere.